Consider the island of Anguilla for your Caribbean babymoon vacation. Boasting 33 of the best beaches in the world and an average year round temperature of 80 degrees, Anguilla is the perfect destination for relaxing and soaking up some sun. Anguilla is an eastern Caribbean island located 5 miles north of, and only a 20 minute ferry ride from, St. Maarten. 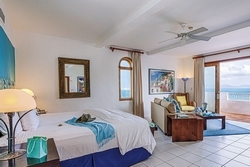 Arawak's breezy two-story villas are painted in soothing, pastel colors and offer spectacular views of the beach and harbor. The essence of the Arawak is relaxation, informality and warm Caribbean hospitality. The Arawak Beach Inn's "Last Hurrah" package offers outstanding value to parents-to-be who are seeking a relaxed, Caribbean island babymoon. 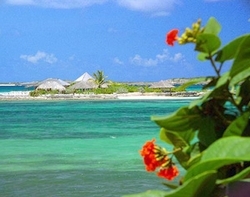 Private day excursion to your own secluded beach on an uninhabited island, including gourmet packed lunch. Boat leaves from the Inn, and returns at your convenience to collect you. The Mediterranean-style, whitewashed villas and lush foliage of CuisinArt Resort & Spa provide the perfect backdrop for your island babymoon. A dazzling infinity pool stretches from the main building to the beach bar, while two miles of velvety white sand invite you to bask in the sun. Large and thoughtfully appointed guestrooms, world-class cuisine and indulgent spa treatments combine to provide a luxurious Caribbean babymoon vacation. You may also like to check out our Jamaica babymoon page, for more pre-baby Caribbean getaway packages.